Start your own Website Hosting business or expand your current hosting. ** Applies to .co.za & promotional TLD's. Below is an overview of the platform features, these features are continually expanded on based on what our Registrars and Resellers are looking for. Our domains solutions also offers .joburg, .durban, and .capetown as well as numerous other new gTLD's. Connect your existing WHMCS system directly into your cPanel Reseller account. Automatically provision your customers hosting packages directly from within your WHMCS. The Reseller Hosting Solution is completely white-labelled. Our clients can market their own hosting business, under their own company name. Our servers are hosted locally in Johannesburg in an N+1 Data Centre. Hosting is on a vender neutral network with multiple network providers for redundancy. Softaculous is the leading auto installer for web applications. It includes +300 Applications such as Joomla, Wordpress, Drupal and many more. Your customers can instantly install these from their own cPanel dashboard. Using our geographically redundant Generic Nameservers for any of your customers’ domains, allows them to manage their own DNS records through their cPanel Dashboard. We only use the very best in SuperMicro enterprise hardware for our Reseller Hosting. All Servers are configured with RAID and Redundant Power Supplies. 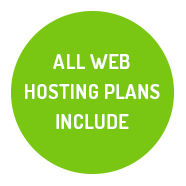 Sell as many hosting plans as you like. Choose what features you would like the plans to offer. You have total control over your hosted sites. Unlike some hosting providers, we own and manage our own IP Ranges, Network Equipment, Server Infrastructure and Hardware. We provide additional advanced spam and virus protection for your hosting customers. Allowing complete transparency for your customers. Rest easy at night knowing that our entire Reseller Hosting Platform is backed up. PLUS providing your customers with the ability to restore their own backups. We have over a decade of Web Hosting Experience and we know what works. Our Reseller Hosting is backed by our team of Hosting Experts. To Read about our Accreditations - please click HERE. Let our team of specialised hosting staff assist you in migrating your customers websites from your existing provider to us. We provide up to 10 site transfers for free. Contact us for more information. We have additional security on our servers to assist in protecting Wordpress websites against attacks and exploits. We are also able to do security scans on Wordpress websites for viruses and malware. All our hosting servers are protected by our Fortigate Intrusion Prevention, DDoS and Malware scanning infrastructure which adds a transparent layer of protection to your customers websites. domains.co.za Reseller Accounts are setup once your payment has been received and verified. You will receive a welcome email which will contain the relevant Reseller and Login details, as soon as your reseller account has been setup. Can I change packages at anytime? Of course! You can switch between Reseller Packages at any time to suite your current needs. There is no penalty in changing packages, once payment has been allocated we'll automatically upgrade your account. If you would like to downgrade to a smaller package please contact support. There is no contract period. The solution is on a month-to-month basis with one ( 1) calendar month's cancellation notice required. Yes, we offer a 99.9% uptime guarantee. Should your sites experience unscheduled downtime which falls outside of our 99.9% uptime guarantee within a month, we will give you a pro-rata credit for the downtime experienced. domains.co.za's team of support staff are highly trained, friendly and dedicated to assisting our clients. We offer a knowledgebase with useful tutorials and videos that can assist you with all aspects of Reseller hosting.